Q1. Which female cast member of popular baby boomers series The Beverly Hillbillies (Donna Douglas, Nancy Kulp, Bea Benaderet, Harriet E. MacGibbon) was originally considered for the role of Daisy "Granny" Moses, until actress Irene Ryan screen tested? Q2. Who is the only surviving cast member of The Beverly Hillbillies today? 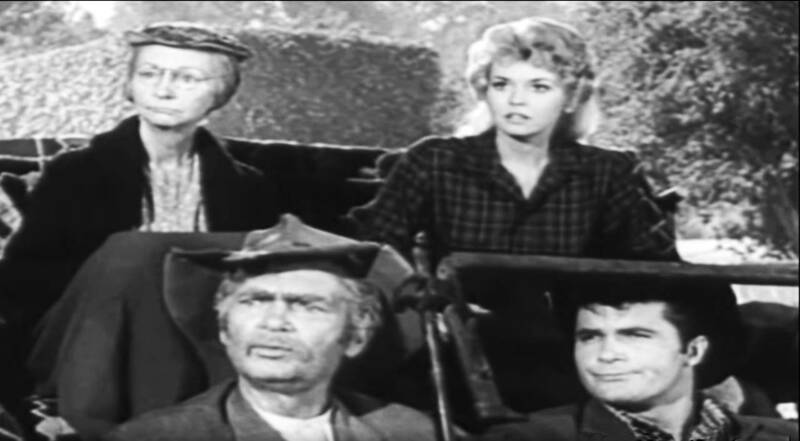 CBS's The Beverly Hillbillies was on-air for 9 seasons, from September 1962 (first episode video above) to March 1971, and was ranked the #1 series of the year it's first two seasons. The Beverly Hillbillies was cancelled after a less successful 9th season which saw it fall from 18th place the year before, to 33rd place. Around the same time, CBS cancelled all of their rural programs, including two spin-offs from The Beverly Hillbillies creator and writer Paul Henning - Green Acres and Petticoat Junction. The Beverly Hillbillies actor and series star Buddy Ebsen began his entertainment career as a dancer before turning to acting. He already had a long list of stage and movie credits - he played the Scarecrow in The Wizard of Oz (1939) - and was in his 50+ years when he began playing backwoods Jed Clampett on The Beverly Hillbillies. After The Beverly Hillbillies ended, baby boomer fan favorite Buddy Ebsen starred in another long-running, popular television series - Barnaby Jones (1973-1980). A father of 7, married and divorced twice before he married 40-years-younger third wife Dorothy Knott in 1985, Buddy Ebsen was a nonagenarian senior when he died at 95 in 2003. Ebsen was survived by wife Dorothy and six children. 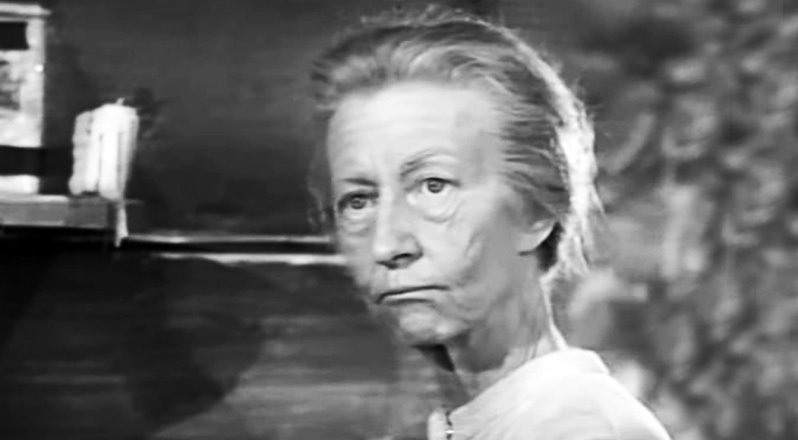 Scene-stealing actress Irene Ryan was a frail-looking 60-year-old when she began playing Daisy "Granny" Moses, the mother-in-law of Jed Clampett on The Beverly Hillbillies. Ironically, actor Buddy Ebsen was only 6 years younger than Ryan! 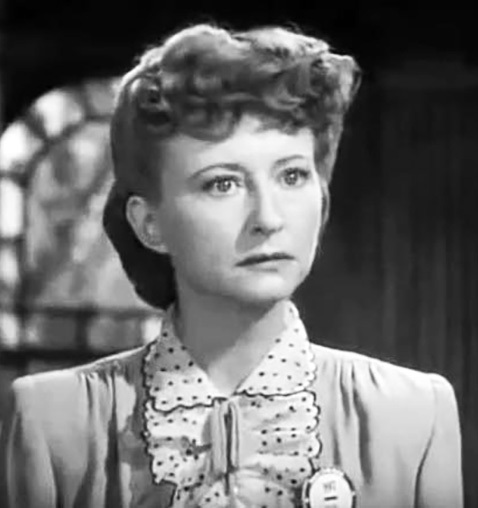 Prior to landing the role of Granny on The Beverly Hillbillies, Irene Ryan had been appearing on vaudeville stages and later on movie screens since the 1930s. She'd starred in several 1930s comedy shorts with her first husband Tim Ryan (married 1922-1942), and was sometimes billed as Irene Noblette. Her marriage to Tim Ryan ended in divorce in 1942. Irene Ryan's comedic talents shone in a strong supporting role in the movie San Diego, I Love You; Buster Keaton played a bus driver in the film. During the 1940s Ryan married for a second time, to Harold E. Knox (m. 1946). She performed in Bob Hope's USO tours during World War II, and could be heard on radio on Bob Hope's show and as a regular cast member of The Jack Carson Show . The Beautiful Cheat (1945) with Bonita Granville and Noah Beery Jr.
As the 1950s and the advent of television began, Irene Ryan could be seen guest-starring on TV shows such as Make Room for Daddy and The Real McCoys. Bonzo Goes to College (1952) starring Maureen O'Sullivan, Edmund Gwenn, Charles Drake, Gigi Perreau, and Gene Lockhart. Irene Ryan's marriage to Harold Knox ended in 1961, before The Beverly Hillbillies began. She was nominated for an Emmy Award as Outstanding Lead Actress in a Comedy Series for her work in the first and second season of the series. Ryan was a senior citizen when The Beverly Hillbillies ended. Irene Ryan was a single septuagenarian when she was nominated for Tony Award in 1973 for her role in the Broadway musical Pippin the previous year. Ryan died from a heart attack in April 1973. Actress Nancy Kulp, who played Miss Jane Hathaway, was 41 when The Beverly Hillbillies started. By the time the series ended, Kulp was entering her 50+ years. Nancy Kulp would go on to run for public office as the Democratic nominee for her home district in Pennsylvania, in a 1984 U.S. House of Representatives election. She was upset when former co-star Buddy Ebsen endorsed her Republican opponent; Ebsen felt Kulp was too liberal. 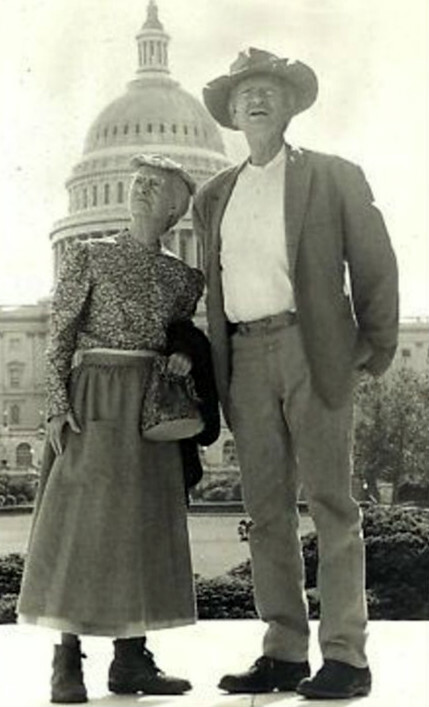 Despite playing a spinster on The Beverly Hillbillies, in real life Nancy Kulp had married Charles Dacus in 1951; they subsequently divorced in 1961, just before The Beverly Hillbillies began airing. Nancy Kulp co-starred with Arte Johnson (Rowan & Martin's Laugh-In) in the TV special Ver-r-r-ry Interesting (1971). While appearing on The Beverly Hillbillies, Kulp landed supporting actress roles in feature films such as The Patsy (1964) starring Jerry Lewis, and The Night of the Grizzly (1966) with Clint Walker. After the sitcom ended, Nancy Kulp's fans could watch her in recurring or guest-starring gigs on The Brian Keith Show, Sanford and Son, and The Love Boat. In an 1989 interview Kulp told the interviewer that instead of asking her if she was a lesbian, to ask her if she thought opposites attracted. Her answer to this question? "I'm the other sort – I find that birds of a feather flock together." Nancy Kulp was a senior when she died at age 69 in 1991. Actor Raymond Bailey was 55+ when The Beverly Hillbillies started in 1962. His wife on the series "Mrs. Drysdale" was portrayed by actress Harriet E. MacGibbon. 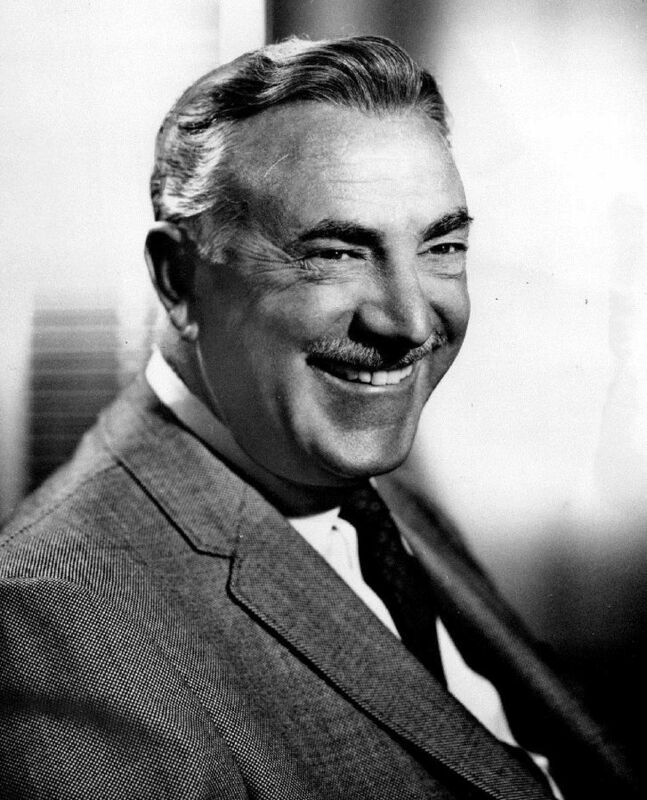 Over the course of his film career, Raymond Bailey acquired more than 150 film credits from the 1930s-1970s. He was a supporting character actor in 1950s films such as Vertigo (1958), Outside the Law (1956), Picnic (1956), The Great American Pastime (1956), The Lineup (1958), and King Creole (1958). Before landing his long-term gig on The Beverly Hillbillies, Bailey was a regular as Mr. Beaumont on the popular TV comedy My Sister Eileen from 1960-1961. His other 1950s & 1960s television guest-starring roles included appearances on My Friend Flicka, Gunsmoke, Black Saddle, Zane Grey Theater, The Untouchables, My Three Sons, 77 Sunset Strip, Perry Mason, Alfred Hitchcock Presents, Bonanza, and a recurring role as Dean Magruder on The Many Loves of Dobie Gillis. By the time The Beverly Hillbillies was going off the air in 1971, Raymond Bailey was a senior citizen and had begun to show symptoms of Alzheimer's Disease. His last film role was in The Strongest Man in the World (1975). Raymond Bailey was survived by his wife Gaby George when he died at age 75 of a heart attack in April of 1980. A1. Although actress Irene Ryan played Daisy "Granny" Moses on The Beverly Hillbillies, it was 55+ actress Bea Benaderet who was first considered for "Granny". 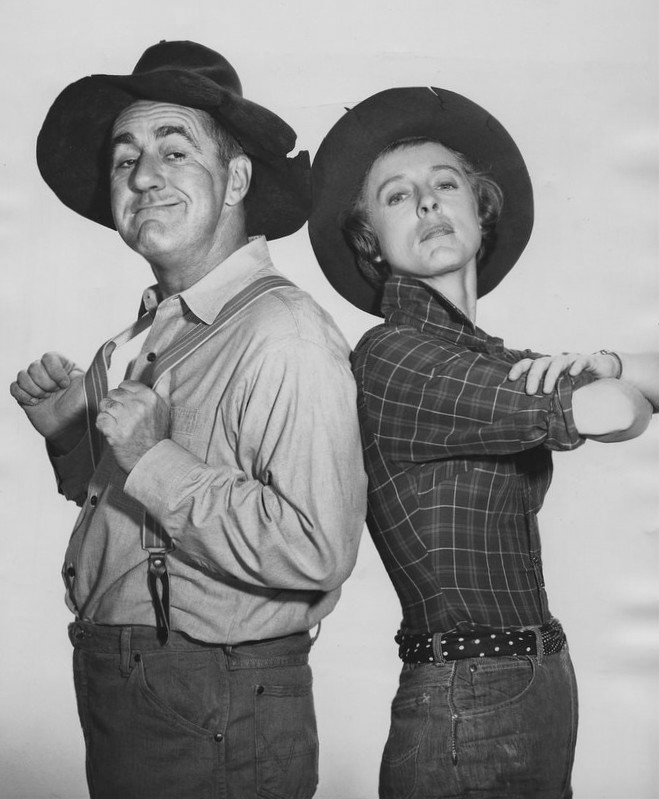 Benaderet ended up laying Jed Clampett's cousin, Pearl Bodine. Benaderet starred in the The Beverly Hillbillies spin-off TV series Petticoat Junction, and appeared on the other spin-off - Green Acres - as Kate Bradley, the Shady Rest Hotel owner. Benaderet was 62 years old when she died in 1968. A2. 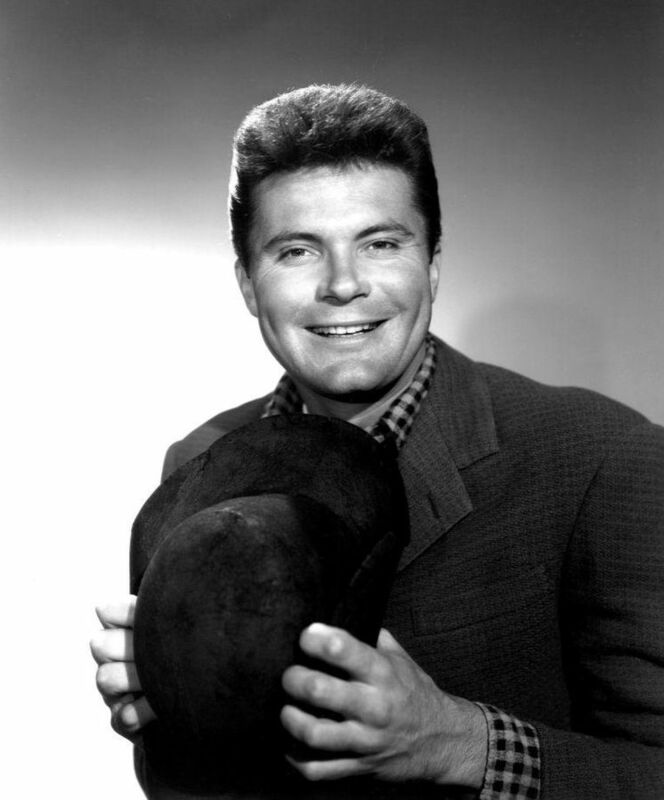 Max Baer, Jr. (1962 Photo: CBS Television), who played Jed's son Jethro Bodine, is now an octogenarian senior citizen, and the only surviving regular cast member of The Beverly Hillbillies. Born Maximilian Adalbert Baer Jr., the son of 1930's heavyweight boxing champion Max Baer, Baer Jr. was not the thick-headed bumbler he portrayed as Jethro on The Beverly Hillbillies. He graduated with a BA in business administration, and in addition to acting, he pursued interests in business and development after The Beverly Hillbillies ended. As with castmate Donna Douglas, he was lifetime friends with "Pa" Buddy Ebsen.